It’s quite amazing what you can find in your local op shop. 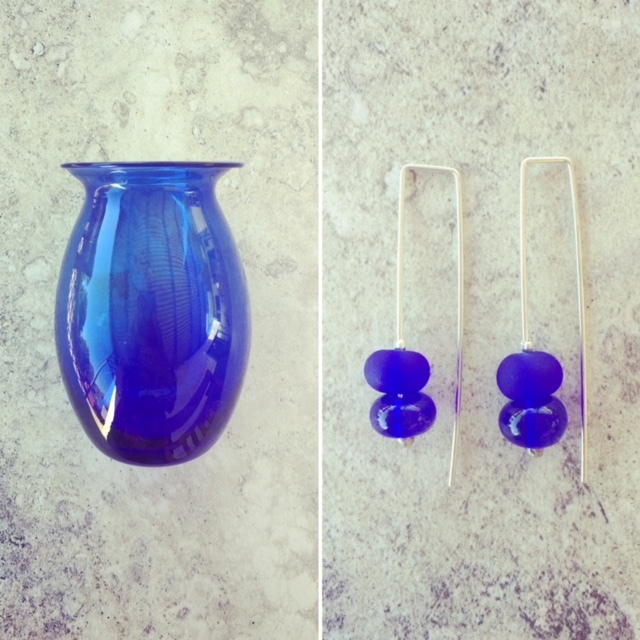 This little vase was found by my friend, and I think it has made a lovely pair of earrings. I like the contrast between the etched and shiny beads too.